This extra tall bin is part of Brabantia's newIcon range. 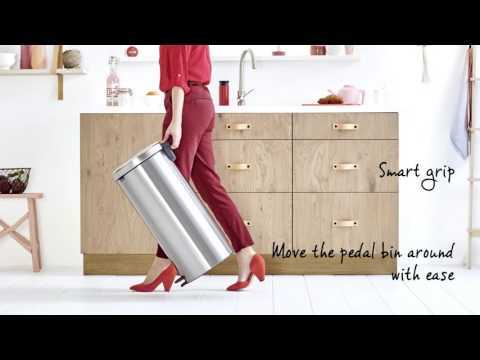 With the company's original sleek look and super clever design features it has everything people have come to expect from a Brabantia bin, but with a twist: The pedal bin is now ecologically friendly. It is constructed from 40% high-grade recycled materials, and 98% of the bin and packaging can be recycled after use.